This scrumptious, chewy, flavorful cookie is my second recipe in the Sweetest Season 2015 Cookie Exchange where I’ve teamed up with 50 awesome bloggers to bring you mouth-watering cookie recipes. Enter to win a KitchenAid Mixer and prize package valued at $690 on my Chai Snickerdoodles post, YEAH!! 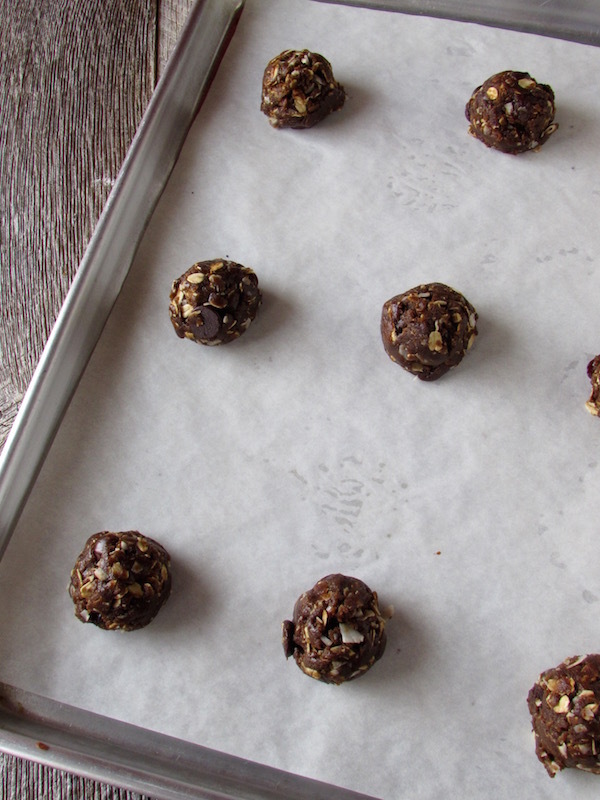 Now on to those cookies you will be dreaming about you will be dreaming about. Nothing makes me feel closer to my grandmother than reading her beloved recipes and reminiscing about all the wonderful meals she prepared for us. She was an amazing cook and an even better baker, so to have my aunt compile and organize many of her recipes together in a book for all of us to enjoy was truly one of the best Christmas presents I’ve ever received❤️! Writing this blog has given me the opportunity to try as many of her recipes that I can. While sifting through the cookie section, I came across a recipe I had often over-looked simply because it had “sorghum” in the title. Mamaw loved sorghum, but I have never quite warmed up to the bitter, stick-to-your-gums, super rich syrup that was often used as a natural sweetener in her day. Sorghum is a healthier alternative to sugar because it’s quite rich in minerals and isn’t as processed as refined sugar. 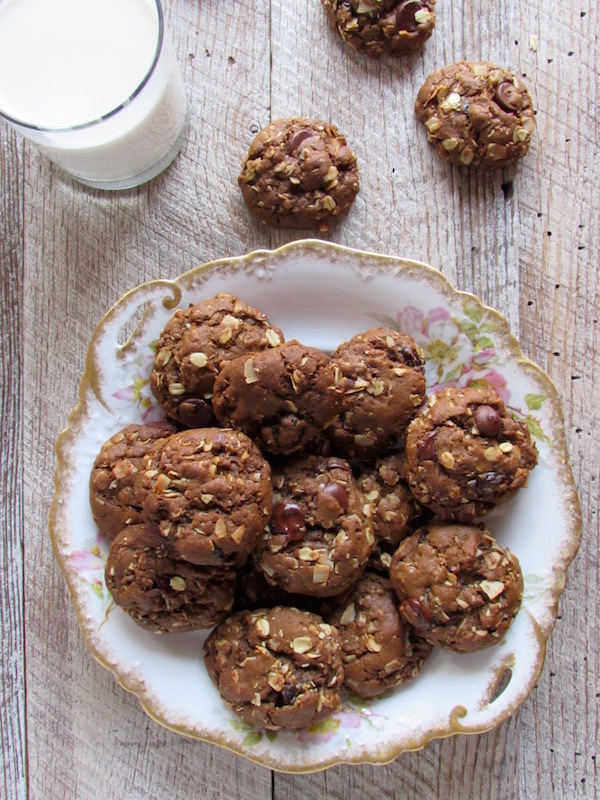 I prefer the flavor of molasses over sorghum, so I substituted it in this recipe and was really happy with the results! 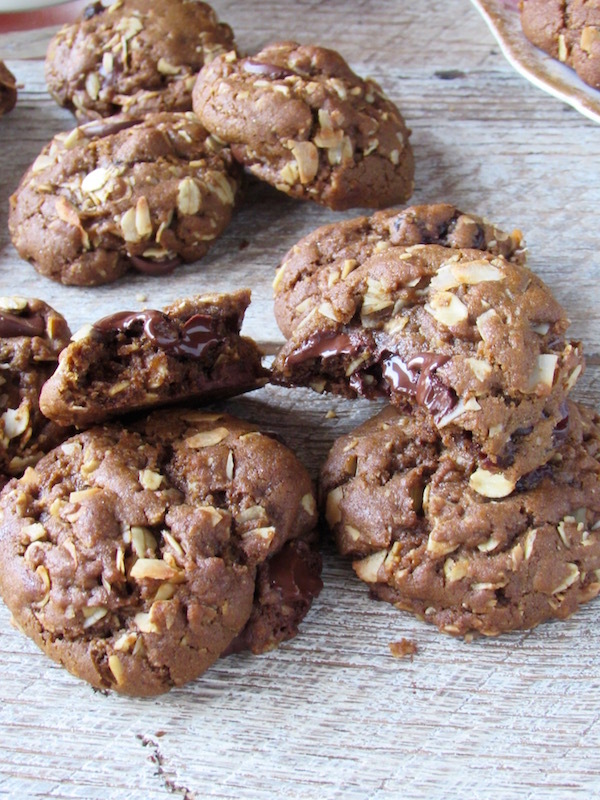 Toasted coconut, chocolate chips, dried cherries, and oats blend harmoniously with molasses, cinnamon, and ginger to create a tender, soft cookie with plenty of nutty, chocolaty, cherry-licious flavor! For the base of the cookie, I used coconut oil, but you can certainly use a neutral oil like grapeseed or canola. Cream the oil and sugar together, then add the molasses and vanilla until fully incorporated. Add the egg. In a separate bowl, mix the flour, sugar, ground ginger, cinnamon, salt, and baking soda. Mix in the dry ingredients until just combined. 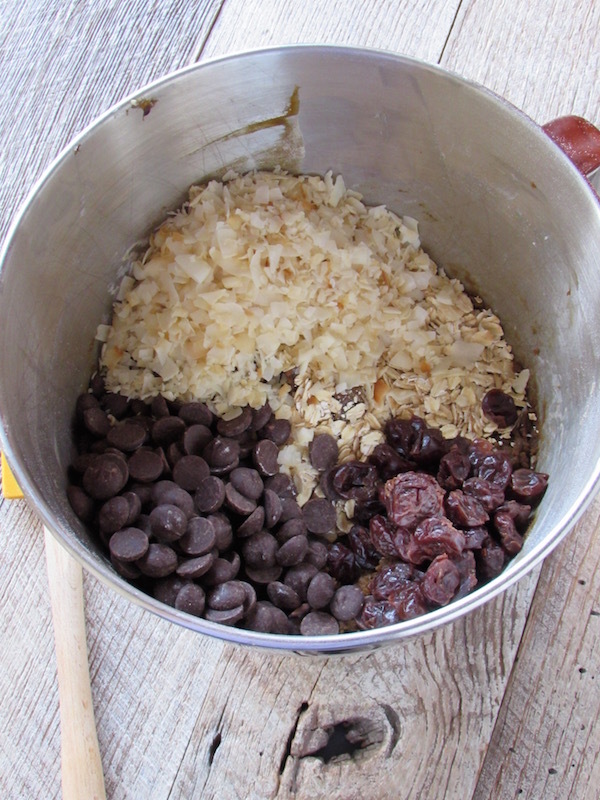 Fold in the oats, toasted coconut, bittersweet chocolate chips, and dried cherries. Preheat the oven to 350 degrees. Form them into equally sized balls with an ice cream scoop or spoon and place on a parchment-lined baking sheet about two inches apart. Bake for 13-14 minutes or until they are just set. It’s better to under bake and sacrifice one cookie to check for doneness. They will be hard and crispy if they are baked too long!! This post may contain affiliate links, which means I receive a small commission if you purchase any items that are linked through to Amazon.com. I only link to those products that I love and use myself. Your purchase helps to support this blog, so thank you in advance!! 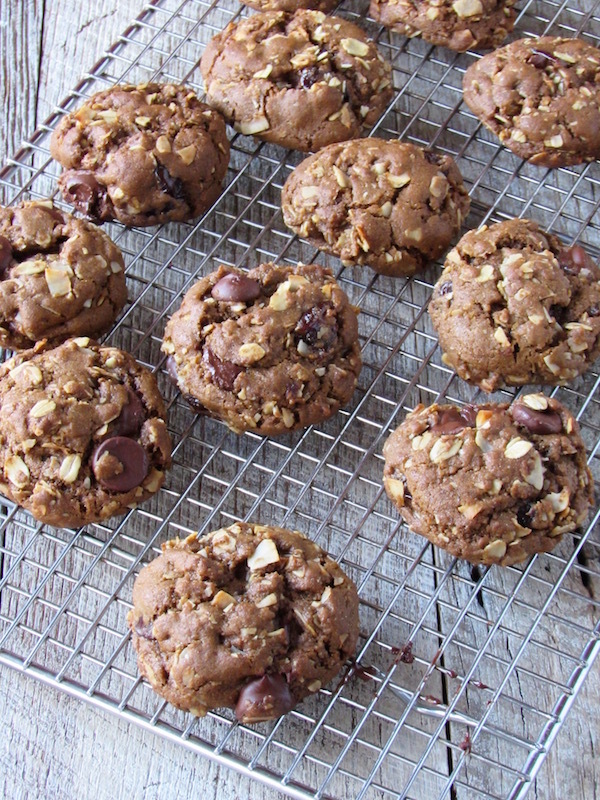 Oatmeal chocolate chip cookies are taken to the next level with molasses, spices, toasted coconut, and dried cherries! 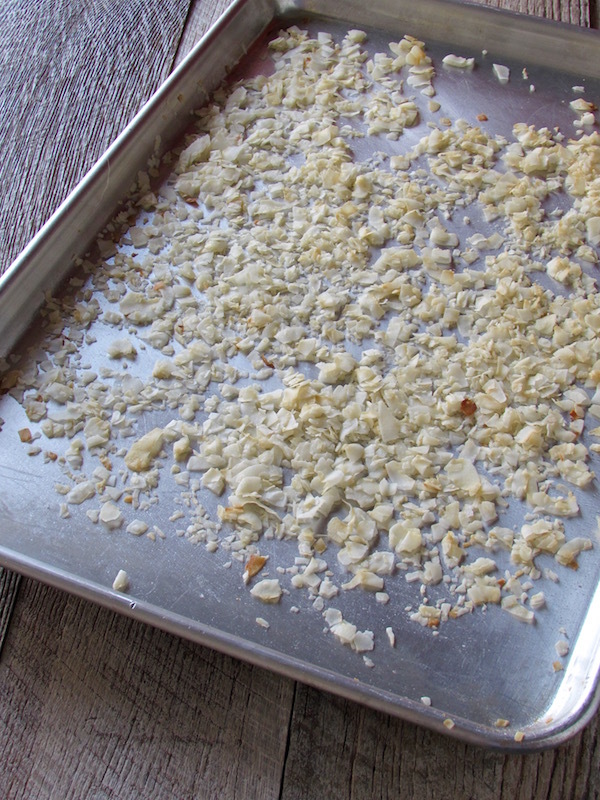 If you are using untoasted coconut flakes, toast them on a sheet pan in the oven for 2-3 minutes. They burn very quickly, so keep an eye on them!! Cream the oil and sugar together in a stand mixer with a paddle attachment or with electric beaters on medium high speed. On medium speed, beat in the molasses and vanilla. Then add the egg. In a separate bowl, mix the flour, ground ginger, cinnamon, salt, and baking soda. Add the dry ingredients on low speed until just incorporated. 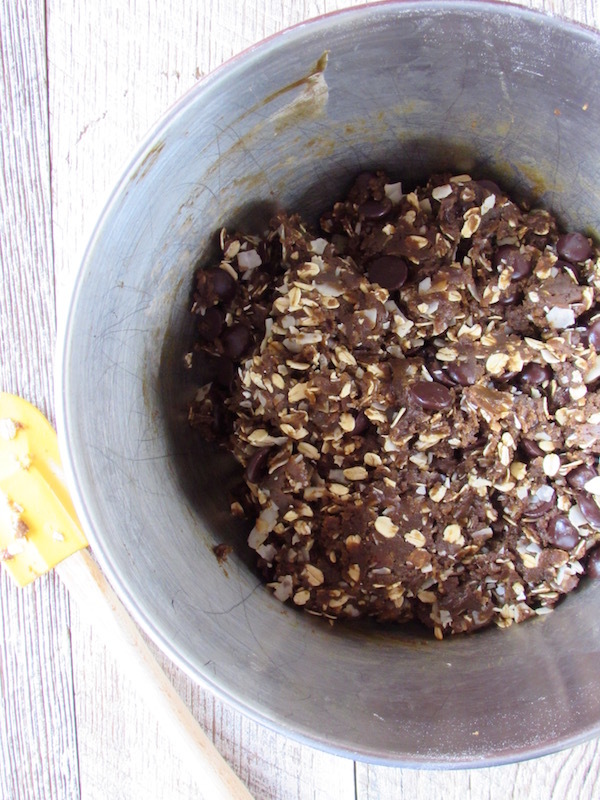 Fold in the chocolate chips, toasted coconut, dried cherries, and oats. Line a sheet pan with parchment paper and scoop equally sized portions onto the pan and space 2 inches apart. Bake for 13-14 minutes or until the cookies are just set. It's better to under bake the cookies and check for doneness. Do not OVERBAKE!! Oh my goodness, YUM! I love the sound of these cookies, Leslie, and I love that you adapted your grandmother’s recipe to make these. I’ve found that blogging is such a fun way to reconnect (or connect for the first time!) with recipes from my grandmothers and older relatives, and I adore making their dishes in my home because they always bring back sweet memories. Thanks so much for participating in The Sweetest Season and our epic giveaway! I was so happy to have you baking with us this year, and I’m gonna have to try this recipe soon. SO good! I totally agree Erin! I have really enjoyed reminiscing with my grandmother’s recipes. It makes me feel closer to her. Thank you for putting together such a great giveaway, it was a lot of fun being a part of it! So I just baked these! They taste great! held shape nicely. I dolled them out with a tablespoon measuring spoon like I normally do and 14 minutes was Way too long. I did just 10 with my first batxh and they are srill a tad dry. I am cutting it back to 8 minutes.. so just thought id comment for future makers! 🙂 They taste great!